The subtext of “Hereditary” — the latest in a run of intelligent and stylish indie horrors (“The Babadook,” ‘’It Follows,” ‘’The Witch”) — isn’t hard to decipher. (Sophocles is being taught in Peter’s high-school class.) Nor are many of the frights hard to see coming. What’s horrifying, though, is how inexorably they arrive, with the absolutism of genetic destiny. Aster, who also wrote the film, fills his movie with foreshadowing clues that give the gruesome events to come a cruel note of inevitability. There’s a curse on this family, whether by ghost or DNA. Taking cues from Roman Polanski’s “Rosemary’s Baby” and Nicholas Roeg’s “Don’t Look Now,” “Hereditary” has you turn over and over questions of what’s really happening. Is Annie’s mother a supernatural force or is Annie conjuring her own insanity? “Hereditary” loosens its grip on you as it wobbles toward an ending that trades ruthless family dramatics for a more genre-typical occult conclusion. But it’s the first time that you can breathe and relax: Oh, right. It’s just a movie. 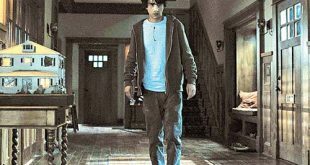 LOS ANGELES: In a movie where everything goes wrong for a family, “Hereditary” is doing everything right, with film critics hailing it as a modern masterpiece in the horror genre. “Hereditary” stars Australian actress Toni Collette as the daughter of a woman whose death unravels terrifying secrets about their family ancestry. “You yearn for something original and for some bold voice to come pounding through,” Collette told Reuters of the part. The script, by writer and first time director Ari Aster, “was confounding because ultimately it just seemed to be this raw, natural, honest story about grief and an inability to navigate it and how it changes the dynamics within this family,” she said. Collette’s character, Annie Graham, appears at first to be a lioness mother looking after her pride, but she becomes overwhelmed and unravels as the story progresses. “There are so many expectations and idealizations about what motherhood is and my character is contrary to all of those. I do really like that because it isn’t always so enjoyable for a lot of women,” said Collette.